← The Big Lie about Plan B–What You Really Should Be Telling Your Friends. Does religion help children or harm them? Viewpoints range from those who believe that it is impossible to raise loving, moral children without faith to those who see religious immersion as child abuse. Author Janet Heimlich (Breaking their Will) believes this isn’t an either or question, but rather a set of when, where and how questions. Heimlich is launching an initiative, Child-Friendly Faith, that seeks to create productive dialog between those who value and those who criticize the role of religion in the lives of children. Heimlich: The Child-Friendly Faith Project aims to get people talking about the impact that religious, spiritual, and cultural influences have on children. Adults have the right to practice the faith of their choice, and many find their lives deeply enriched by some form of spiritual practice. Usually they assume that what enriches their own lives must also be good for their kids, but that is not always the case. So, it’s important that parents and other people responsible for children give serious thought about when and how to involve children in faith practices. 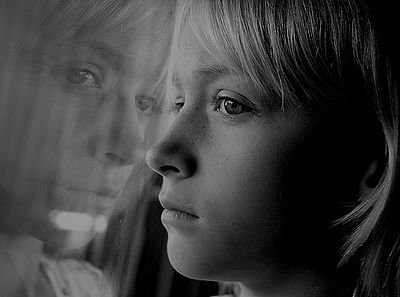 The CFFP opposes all ideologically “inspired” child maltreatment, for example, physically abusive corporal punishment due to beliefs about “biblical chastisement,” a failure to report sexual abuse due to a perceived need to protect the image of a cultural group, or religious indoctrination and isolating that leaves children withdrawn or disturbed. We encourage practices that help children find ways to discover and celebrate life and love and to understand the moral fabric of their community. What lead you to start the project? Heimlich: While researching Breaking Their Will, it became clear that ideological teachings and rituals can be both beneficial and harmful for children. 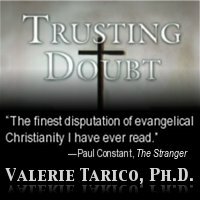 In my book, I examined the conditions that put children at risk for religious child abuse and neglect. The book gets the conversation going, and the question was where to go from there. First I started a closed Facebook group in which members can talk about these concerns in safety. But I still felt we needed something more solutions-oriented. The Child-Friendly Faith Project takes on that challenge. Just how do you plan to go about doing that? Heimlich: There are three main tracks. First, we raise awareness through our website, conferences, and media outreach. Second, we train professionals through workshops given to clergy, teachers, law enforcement personnel, social workers, and anyone else who works with children. And third, we plan to work directly with problematic faith groups to show them healthy childrearing alternatives. Will an isolated or patriarchal group listen to outsiders trying to change the way they raise their children? Heimlich: That’s going to be the most challenging task, but I believe it can be done. The key is to establish a dialog initiated by someone the group trusts. I’ve seen this happen when attorneys general have reached out to certain communities, and I’ve seen law enforcement personnel have success, too. In my perception, those of us on the outside have not done enough to connect with these groups in an effective way. For example, too often, law enforcement or child protective services have raided a group, after which the members become even more secretive with their practices. Heimlich: The problem is not religion per se but the authoritarian nature of many religious communities. Religious child maltreatment often occurs when a child’s chief caretakers – usually their parents – are under pressure to conform to controlling or punitive in-group childrearing norms. When that happens parents mistrust their own instincts and often fail to attend to their children’s emotional and physical needs. Religious teachings are not always harmful – studies show this to be true. But what we can’t accept is indoctrination, which is a form of emotional exploiting, pure and simple. People of faith can raise their children to take part in rituals and teach them about doctrines without forcing on a child a narrow worldview. So what does a child-friendly religous community look like? Heimlich: What I found in my research is that children are less at risk for religious child maltreatment in more open, tolerant, less authoritarian cultures. That’s not to say they are immune from all abuse, but if there is abuse, it’s unlikely to be triggered or enabled by religious or cultural beliefs. Child-friendly households and communities are invested in raising kids in a way that complies with healthy child development practices. This includes meeting children’s need to explore different ideas and express who they are. So, for example, children are encouraged to ask questions and express religious doubt, rather than be made to feel guilty. Children are given limits, of course, but adults respect their needs for intellectual and emotional growth. The same goes for a child’s physical needs. Parents think carefully before they involve a child in a fast, for example. They provide sick children with medical care instead of just praying over them. And when they suspect that a child has been sexually abused, they report it. What do you hope to attain with the Child-Friendly Faith Project? The conversation is moving forward. Our Facebook group has hundreds of members who come from various fields related to faith and children’s rights, and we get into fascinating discussions. Also, we’re very excited about our first Child-Friendly Faith Conference 2013 which is scheduled for November 8th in Austin, Texas. The conference will be the first of its kind, where people of all faiths and backgrounds will speak about how to make faith child-friendly. Gallery | This entry was posted in Musings & Rants: Christianity, Uncategorized and tagged Child Abuse, Christian fundamentalism, ethics, Evangelicalism, progressive faith, recovery from religion, Religious Child Maltreatment, Religious Trauma Syndrome. Bookmark the permalink. I don’t think we need to pass faith on to our children. There are so many stories which are fictional and yet we tell them to our kids and sometimes even pretend they’re true (such as the envy of Fedex –Santa and his billion deliveries in 24hrs). Fables and fairy tales have their place. And since we adults know they’re fiction, children eventually grow up knowing they’re just metaphors and vehicles for transmitting our cherished values to them. Faith on the other hand–given that we utterly believe in the truth and reality of whatever it is we have faith in– coerces children to accept something as true when there is no good reason to do so. And to rely on unseen forces out there somewhere whose existence is extremely doubtful. I’d rather teach children to “have faith” if you will in reason and doubting and questioning. Truth matters. Seeing reality as it is matters. I see faith and truth/reality as being deeply opposed to one another. “Children eventually grow up knowing they’re just metaphors and vehicles for transmitting our cherished values to them.” I like that. “Faith” has become a euphemism for religious belief and dogma. But another definition is acceptance of a premise, where evidence is insufficient to produce what we call knowledge. Mark Twain said that “faith is just believing what you know ain’t so.” At minimum it is believing what you can’t know is so. Janet and Christine may be wrong in assuming that there is such a thing as child friendly faith, but either way they raise an important question, which is how can we create healthy communities around our children that support their moral and social development? What might such a community look like? In the absence of “faith”, what are the important ingredients. Recently some writers have begun talking about science as a sacred inquiry and “big history” as a sacred story. Maybe it is time for new metaphors and vehicles to transmit our cherished values. I get it , that community helps parents raise their children, and that many times it’s faith communities that provide that context. But my biggest problem is the source of these faith communities are texts that contain horrible doctrines that are designed to terrorize (adults and children alike)….I’m thinking of hell, in particular. One place where we could focus on healthy moral and social development is the public schools. Despite the many political wranglings over public schools, it still is one of the local institutions where parents of divers backgrounds come together to support the growth of their children. I think you are right, Mick. Clearly some Christian fundamentalists see public schools as threatening, competitors. Thanks for mentioning this great interview and resource in the emailed article that led me to it here, Valerie. This is one aspect of a broad set of related issues around helping our society grow up in relation to how we view and involve ourselves in a “faith” or religion or various practices of “spirituality” that may be considered non-religious. I’m very into promoting this kind of “religious literacy” (as put in the interview) along with a growing understanding of the personal, institutional and society-wide psychology of our religious affiliations, bliefs and experiences. I believe we MUST go this direction if we collectively are to become more mature in our religious expressions. As a child being “raised as a Christian,” I remember being taken to Sunday School and sitting with the other kids as the teacher bombarded us with bible stories like Jonah and the whale, Noah’s ark, God being so powerful and omnipotent that he could create all we know in six days, but it pooped him out, so he had to rest for a whole day! I remember looking at the teacher thinking, “Does she really believe this stuff?” I remember wondering if the other kids were swallowing this stuff! I remember telling my Mom on the way home that the teacher told us a story about how “god” murdered everyone in the whole world by drowning them and that I didn’t like god anymore because he killed little babies and grandmas and grandpas and children and puppies and kittens. My Mom had no idea what to say to me. I also remember hearing verses from the bible that said “ask and you shall receive,” “Anything you ask for in My name will be yours.” None of these verses ended with “maybe you shall recieve, or ‘perhaps,’ or ‘I’ll get back to you,’ or I’ll think about it. They all ended with it will be yours or you shall receive. And on and on. I remember praying for my Grandmother who was very ill and dying. I prayed that she would get will and truly believed that she would and that “god” would grant my prayer as promised. So, I told my Mom that I really thoght the bible verses are full of lies and that I didn’t want to go to Sunday School anymore. Again, she didn’t know what to say. How do “believers” explain away these verses?